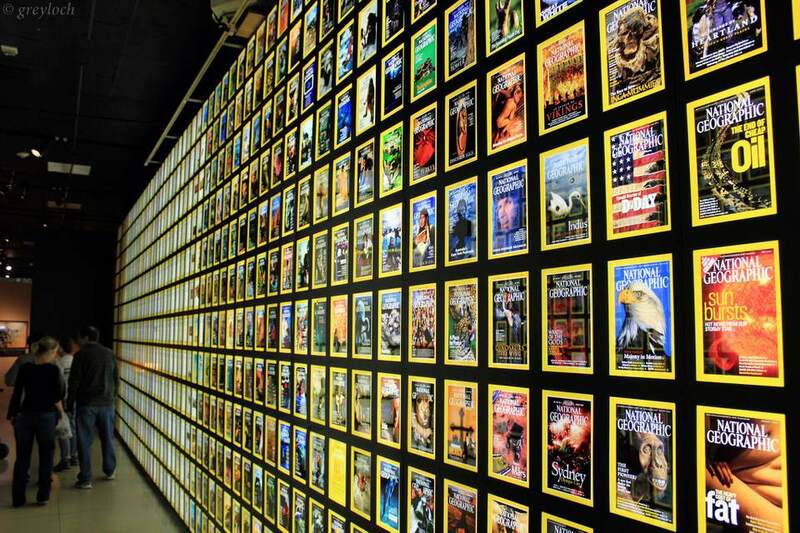 The National Geographic Museum appeals to all ages and takes about an hour to explore. Special exhibits and programs change often providing a different experience for every visit. National Geographic Live! programs present a diverse array of topics featuring presentations by photographers, adventurers, filmmakers, scientists, and authors. The museum is located north of the White House and southeast of Dupont Circle. The closest Metro stations are Farragut North and Farragut West. Metered parking is available on M, 17th, and 16th Streets. Nearby parking garages are located on 17th Street between M and L Streets. Admission is free for local school, student and youth groups (18 and under; advance reservations are required). Tickets may be purchased online, by phone, or in person at the National Geographic ticket booth. Special ticket packages are available for National Geographic Live! and special events. The Nat Geographic Live features a variety of films, lectures, concerts and family events presented in the Grosvenor Auditorium, a 385-seat state-of-the-art theater, at the headquarters building in Washington DC. Events are led by explorers, scientists, photographers, and performing artists. The schedule also includes three student matinees featuring modified versions of the evening presentations geared towards students. Free parking is available in the National Geographic underground garage for programs that begin after 6 p.m. National Geographic Live presentations are given in select cities around the United States and abroad, including New York, Chicago, Los Angeles, Seattle, Anchorage, Eugene, Calgary, Copenhagen, Sydney, Stockholm, and more. There’s a nice gift shop offering a variety of films, books, maps, magazines, and educational games. You can also purchase gifts online. National Geographic offers a unique venue for special events. The three-building complex features a landscaped open-air courtyard that is ideal for receptions. Multi-media presentations can be given in the Grosvenor Auditorium which includes state-of-the-art projection, lighting, and sound capabilities.